Charlotte McLeod was the second transsexual American woman of the modern era, having had her sexual reassignment surgery (SRS) in Denmark in 1953, the year after Christine Jorgensen did. When Charlotte arrived in Denmark she discovered that the furor over Christine’s surgery had led to a moratorium on new SRS procedures, unless the process of conversion had already started. Charlotte, near-suicidal with gender dysphoria and not to be deterred, found a discredited doctor who performed a botched SRS on his kitchen table. After nearly bleeding to death over the next two weeks, Charlotte was finally admitted into the Danish program and was given her surgeries. Charlotte returned to the United States in early 1954, and although she was welcomed as a minor celebrity, she never achieved the success of Christine – and was quoted at times saying jealous, catty things about her predecessor. Later in life Charlotte wrote an autobiography, which is incredibly rare and which I was only able to find after some searching (see below). My Transgender Newsbank has many articles on Charlotte, but still much of her life is unknown. I purchased two original photographs of Charlotte McLeod from 1954. The first one is one of her first publicity poses, dated February 25, 1954. In this photograph she is still in Copenhagen, Denmark, prior to her return to the United States. 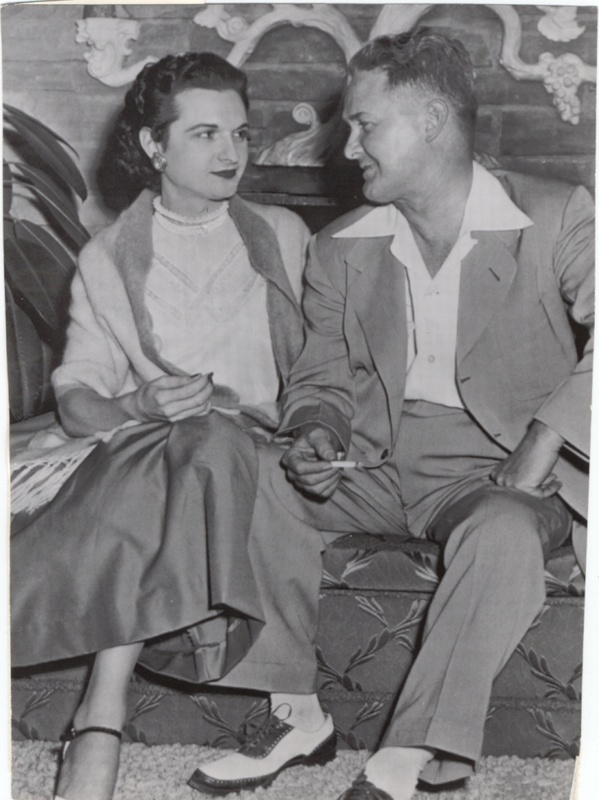 The second photograph is one from May 12, 1954, and shows Charlotte talking to her father, Charles McLeod. Like Christine’s parents, Charlotte’s parents were generally supportive of her transition after an initial period of shock. For a link to the full-sized scan, click here. This is a very rare photograph (one of a pair), which sadly I only have a medium-sized copy of. 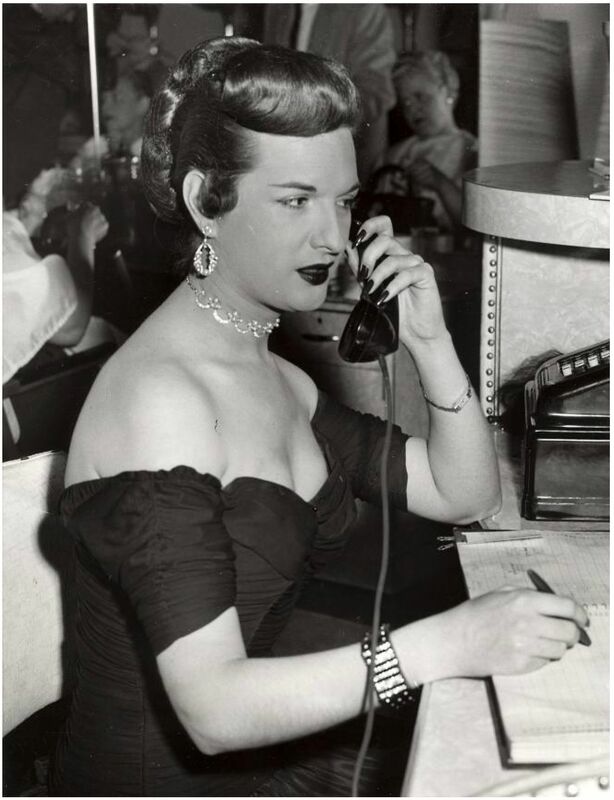 It shows Charlotte McLeod working as a receptionist at the all-night salon of the Great Northern Hotel in New York, New York. The photograph is dated October 2, 1955. Right-click and “save as” to see the full-sized photograph. This is a very rare photograph, which sadly I only have a medium-sized copy of. 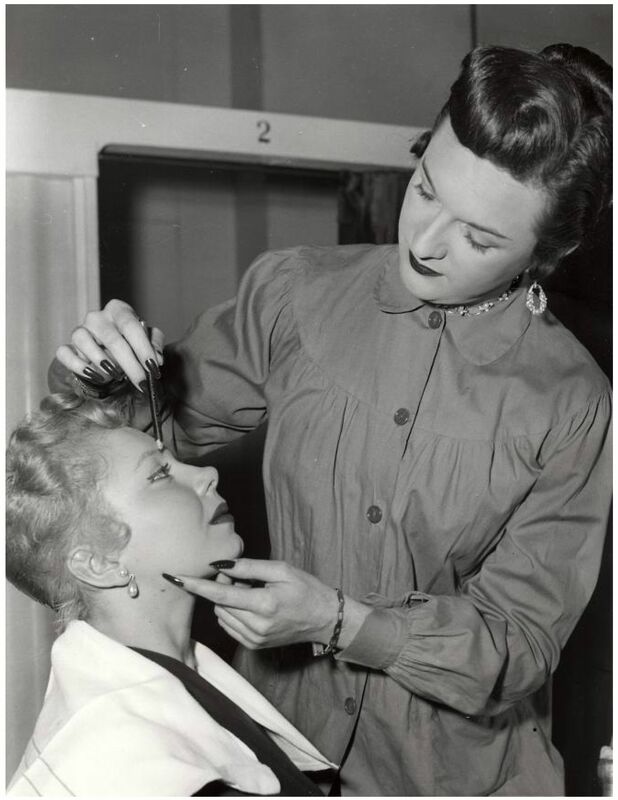 It shows Charlotte McLeod working as a beautician at the all-night salon of the Great Northern Hotel in New York, New York. The photograph is dated October 2, 1955, and it’s noted that the other woman in the photograph is Miss Barbara Maye. Right-click and “save as” to see the full-sized photograph. After her surgery made the world news on December 1, 1952, Christine Jorgensen inarguably entered the history books as the first of the “Atomic Age” transsexual women. But what you never really hear about is, who was the second? This is a difficult question to answer, as the records of the time are scarce, and the desire for privacy post-surgery intense. However, there is a high level of confidence that Charlotte McLeod of New Orleans, Louisiana, was the second Atomic Age transsexual woman. 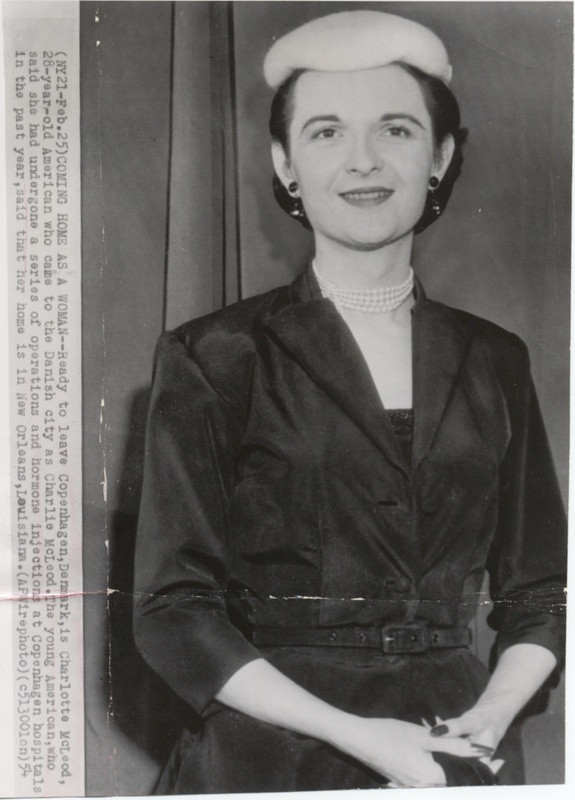 However, upon Charlotte McLeod’s announcement of her surgery in 1953, and her return to the United States in 1954, the reaction she received in both cases was not nearly as positive as Christine Jorgensen’s. Part of this was due to being “second place” in the news of transsexual surgery. Part of it was that Jorgensen was highly photogenic, and to some extent encouraged a positive relationship with the press. As a result, McLeod never saw the celebrity-level success which Jorgensen did, and was even heard at times to react snippily towards Jorgensen. Although she gave many interviews, including a lengthy audio interview which can still be purchased today, Jorgensen did not publish her autobiography until 1967. Soon after her transition McLeod that said she was working on an autobiography, but she ceased talking about it within a couple of years after her return to the United States. As a result, no complete autobiography was known to be published. Meanwhile, Tamara Rees, the third Atomic Age transsexual woman, self-published an autobiography, which soon became so rare it that its existence, let alone content, reached mythical status among transgender historians. In 1956, McLeod sold what she had developed for an autobiography to the men’s magazine Mr. A somewhat exploitative “cheesecake” magazine, one wonders what the magazine’s interest in her story was, especially as her story is presented quite tastefully, especially considering the era. This autobiography of hers was so rare I did not even confirm it existed until nearly 3 years into my research into transgender history, and through a series of serendipitous events I was able to find an original copy in very good condition.